We have a wealth of experience of house removals in Nottingham with many delighted customers. With our experience and local knowledge you can rest assured that your move is in good hands. 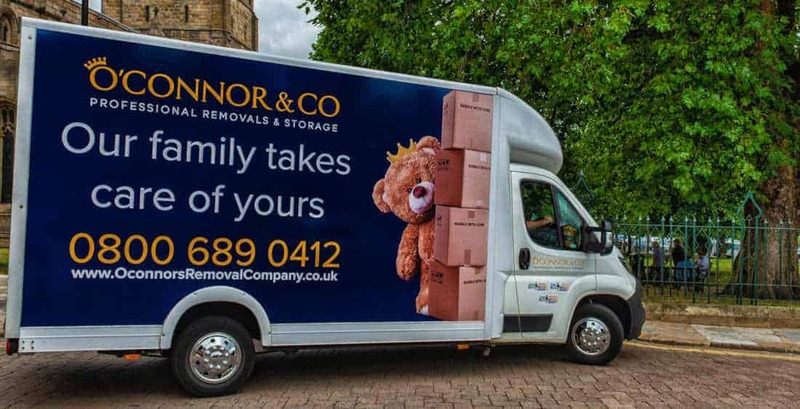 O’Connor & Co are the obvious choice if you are looking for house removals in Nottingham or its surrounding areas, we have a wealth of experience having successfully moved many clients to and from the area. Our team have excellent local knowledge ensuring that any issues with access are taken care of. Nottingham is a thriving and busy city, we have moved many clients to and from the area. Our dedicated team will ensure your move is as stress free as possible, providing advice, tips and help to plan your move. If your chosen moving package includes packing services our team will ensure everything is carefully packed in time for moving day. Based in Mansfield near Nottingham, we are a trusted family business with a reputation built upon the exceptional level of our customer service and removal skills, we will always go the extra mile to help ensure your move is completed efficiently and smoothly. During our pre-move survey we discuss with you any access issues, special requirements as well as identifying any items where special care will be required for antiques, pianos etc. We can also provide assistance with the dismantling and reassembly of furniture. Our removal packages offer a wide range of services to meet your individual requirements, these can then be adapted to suit your individual as we recognise that every move is different.